Thank you so much to David Meitus, founder of Studium, who in our opinion is one of the best in the business! We are so proud to have made such an impression and for our work to be part of this wonderful magazine. 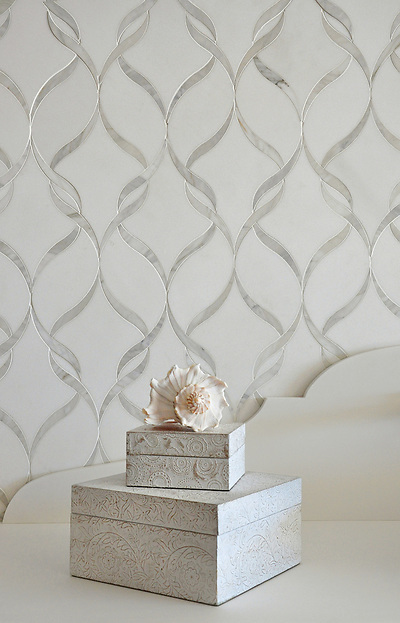 Sophie, a natural stone waterjet mosaic shown in polished Calacatta Tia and honed Thassos, is part of the Silk Road Collection by Sara Baldwin for New Ravenna Mosaics. 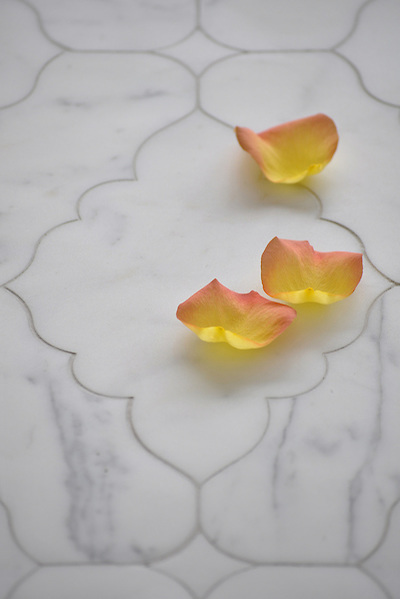 Ganesha, a natural stone waterjet mosaic shown in polished Calacatta Tia, is part of the Silk Road Collection by Sara Baldwin for New Ravenna Mosaics. Marabel, a hand cut natural stone mosaic, shown in honed Thassos and polished Calacatta Tia, is part of the Silk Road Collection by Sara Baldwin for New Ravenna Mosaics. 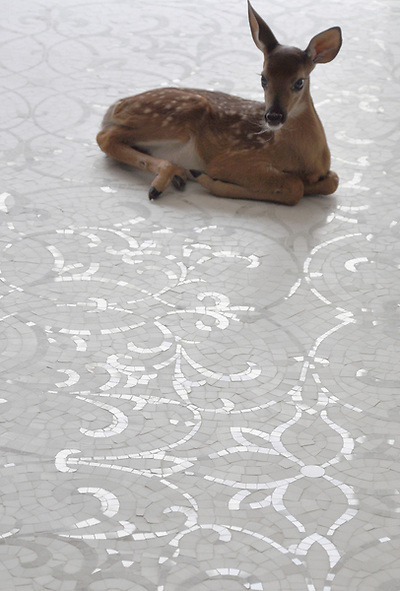 Click here to see more of the Silk Road Collection by Sara Baldwin for New Ravenna Mosaics. Click here to connect with New York Design Hunting on Facebook or follow @designhunting on Twitter.